Felt like a researched novel that was trying to teach things, not a story. Many things were just not believable. But it was easy to listen to and finish. 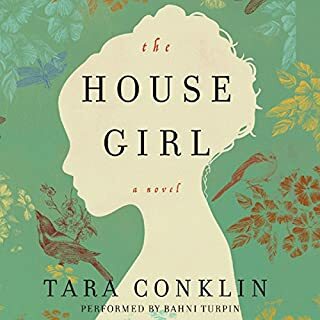 Sarah Quinlan's husband, Jack, has been haunted for decades by the untimely death of his mother when he was just a teenager, her body found in the cellar of their family farm, the circumstances a mystery. The case rocked the small farm town of Penny Gate, Iowa, where Jack was raised, and for years Jack avoided returning home. But when his beloved aunt Julia is in an accident, Jack and Sarah are forced to confront the past that they have long evaded. Wanted to like it, her first book is one of my favorites, but she is not a master storyteller. 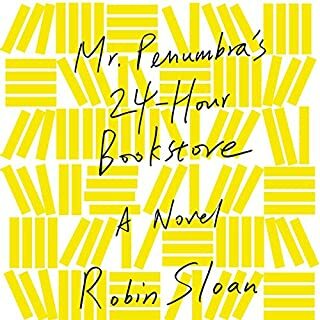 I found Mr. Penumbra’s 24-Hour Bookstore by Robin Sloan accidentally on Audible while browsing samples. I laughed out loud so many times through this book during my morning runs I must have looks like a crazy person. The best word I can use to describe this book is witty. But this story isn’t just about books, it adds in the use of modern computer technology with a childhood nostalgia for your favorite cliche book series and – what else could there be but – a secret robed society, called the Unbroken Spine. It is funny, witty, entertaining, and completely unbelievable – but in a good way. I identified with the main character in the sense that a) I too love the smell of books, b) I too love the complexities of things like Google, typology, website coding, and super computers, and c) have extremely similar internal monologues. This book is the perfect read for all you twenty something-tech savvy-font enthusiast-book lovers who struggle with the concept of ‘book or e-reader?’ who dreamed of finding a hidden code in your favorite book that leads to a secret underground society that has been on a quest for eternal morality for over 500 years. Or, anyone in the mood for a light read, with quality writing. In conclusion, there was a truly profound comment in this novel that I bookmarked. However, I removed the audio book from my phone too quickly and lost it. On the upside, this is definitely a book I will add to my library via softcover edition and re-read…and hunt for that quote. This book courted me. It was love at first sight as I wandered the bookshelves of Borders (when Borders still existed). I picked it up, turned it over, read the back, read the first page, and knew instantly I would love it, but I didn’t buy it. I downloaded a sample to my Nook (so I could read the first 30 or so pages) just to be certain I would love it. Over the next year or so, I read little more than the first page, but I read the first page over and over again with the same thought: this is a book I am going to love. Therefore, the conditions under which I read it had to be perfect. 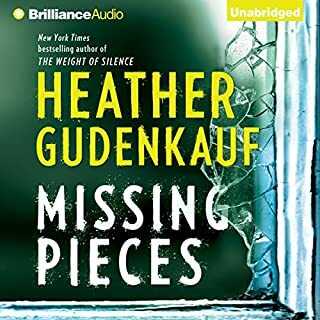 It wasn’t until I needed a new audio-book, that I finally accepted the luring of this novel. I began to listen on a 3 mile run – into the sunset and then back into the starry night. The perfect conditions presented themselves. I had found a new love. 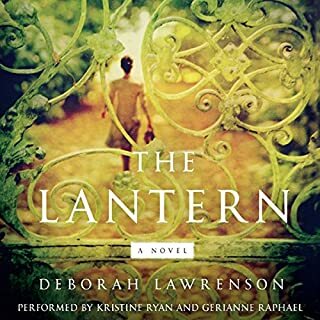 The Lantern by Deborah Lawrenson is a Gothic tale of romance, family, secrets, regret, and the power of scent and memories. It is also a very eloquent ghost story. It is chillingly similar to Daphne du Maurier’s Rebecca. But this isn’t fan-fiction, quite the opposite in fact. The crafting of Lawrenson’s story rivals Kate Morton (a favorite author of mine), and in some respects, I say she outperforms Morton. The language of this book reached my soul, in the same way as Jane Eyre, and Jamaica Inn. Lawrenson’s words are art. I have a friend who says she can’t stand to read a book that “takes 3 pages to describe the color blue”. This is one of those books. Lawrenson describes color, scent, and flowers in great detail. I happen to love this aspect of The Lantern because I was transported into the story – I could see, touch, and smell everything. As I ran, that first night, to the first chapters of this book, I could have swore I smelled lavender. But if you are like my friend and need the author to tell you, simply: “it was blue”, then this may not be the book for you. The Lantern merges two stories and two generations of women – Eve, a modern day women drawn to the embrace of an older man, and Bénédicte, who lived in the very house in which Eve now lives during WWII, and worked in the nearby lavender fields. Eve and Bénédicte have never met, but they are inextricably tied to each other by Les Genevriers, a charming farmhouse that holds generations of secrets. It is set in the South of France, and Lawrenson does an excellent job of creating a timeless setting; it isn’t muddled with modern technology, or things and people that anchor a book to the year in which it was written. Readers will connect with this book as well in 2032 as they will in 2012. The danger in writing from alternating points of view is that the reader will favor one voice, one story, over the other. I loved both Eve and Bénédicte, and understood and empathized with each of them. Each woman struggles with ghosts from the past, some literal, others figurative. Suspicion is prevalent throughout this novel, much in the style of Alfred Hitchcock. Eve is living at Les Genevriers with Dom, a man who, as much as she is in love with, carries a secret that threatens to ruin their relationship. Dom refused to talk about his previous marriage, of Rachel, his wife. Eve makes a friend in town, a woman who knew Rachel, and who confirms Eve’s suspicions about Dom, and Rachel. Then the bodies of two women are discovered buried beneath the concrete of the old pool they had been restoring, throwing them – specifically Dom – into an center of an investigation. Curiosity, or rather a desperate need to know, leads Eve to push harder and ask questions. It is these questions that provoke the past into the present. Bénédicte, who is an old woman as she tells her story, lived at Les Genevriers with her family. Her sister Marta achieves great success, although blind, and becomes renowned for making exquisite perfumes. Their brother Pierre is troubled, taunting the girls endlessly in their youth. Tradgedy befalls the family one by one, and Bénédicte becomes the only survivor to the family name. She wonders what she could have done differently to save those she’d loved. Bénédicte dies without ever knowing why her beloved sister left and never spoke to her again. As Eve’s suspicions of Dom grow, and her investigation of Rachel deepens, she stumbles upon what Rachel had been researching when she was last seen at Les Genevriers – this history of Marthe Lincel, and why Marthe all but disappeared at the very height of her career. I am giving this book 5 stars. It is beautifully written, a book I can not wait to re-read, and lend-able to all ages. This story has changed me, and remains with me still, days after I finished – in the same way The House at Riverton did. Actually, I have not been able to begin a new book because, right now, nothing will measure up. It has also made me as sure as ever that this statement is true: books find their readers, often times it is just when they need them. For this and other book reviews, visit my blog online. More dimension/depth to the plot. Yes, she narrated part of The Help. Her voice was authentic for a twelve year old girl. Was Saving Ceecee Honeycutt worth the listening time? I was hopeful about this book because reviews compared it to The Help, which I loved. But what I discovered was Pollyanna on steroids. 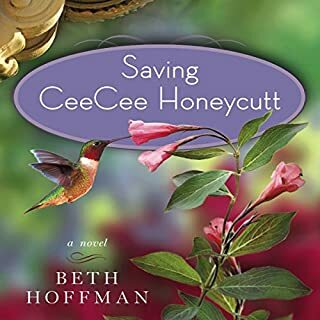 Saving CeeCee Honeycutt by Beth Hoffman is the story of a twelve year old girl who moves to Savannah in the sixties to live with her aunt after her psychotic mother runs in front of a truck and dies. CeeCee’s father, who had traveled on business her whole life to escape his crazy wife, willingly gives his daughter over to his sister-in-law and all but disappears from the story. In Savannah, CeeCee finds herself in the lap of southern luxury in a piucture perfect house in a picture perfect town with a perfectly loving (and extremely wealthy) aunt and a perfectly cliche housekeeper who becomes CeeCee’s surrogate mother. During her first Summer in Georgia, CeeCee encounters a cast of eccentric characters – all women. Whereas in Pollyanna, the cast of characters are all changed by the young girl’s optimistic and joyful approach to life, in Saving CeeCee Honeycutt the cast of characters are not changed at the end, which should have meant it was CeeCee who would be changed by the characters, but by the end the only person that seems to change CeeCee is the housekeeper, Olletta Jones. The title doesn’t make much sense to me because the only thing that seemed to ‘save’ CeeCee, was her mother’s suicide, because it moved her to a better station in life. And that’s an odd message to portray. Because her mother dies very early in the story, we learn about the relationship she and CeeCee shared through flashbacks – which should have left me with empathy for CeeCee, but a lack of depth left me apathetic. 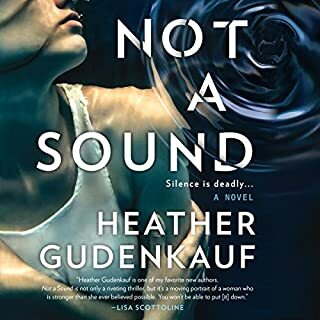 There are two situations in this entire book that could be considered a climax, but instead of allowing the situations to create tension and drama, Hoffman tidies them up and puts them perfectly back in place. This is also true of the story’s ending in which CeeCee’s life becomes ever more perfect, and tries to convince the reader that CeeCee was ‘saved’ over the course of one summer after supposedly caring for her crazy mother since she could remember, and living in fear she would become her mother. All that being said, this book would quite possibly have been a favorite book of mine when I was twelve because what twelve year old didn’t wish at some point they could be whisked away to the lap of luxury, meet a bunch of interesting people, eat a lot of really good food, and basically not have a care in the world? In my opinion, this novel should have been marketed to young girls, not adults. I am giving this story 3 stars. The writing is decent, and Hoffman did create a place I would like to ‘visit’, but her plot line lacked tension, drama and authenticity. This could easily have been a 5 star novel if Hoffman had perhaps given CeeCee a secret she carried with her, or a continuation of the story past her first summer, and perhaps into her teen or adult years, or maybe even a past/present novel where CeeCee looked back on childhood, or an actual descent into psychosis – supposedly her biggest fear – that she had to be actually ‘saved from’. This novel doesn’t deserve the word Saving in the title. Quality writing, charming setting, inadequate and immature story line, forgettable, cliche at times, and not worth a re-read, but perfect for a pre-teen! A more complex plot with characters who didn't make catastrophic mistakes. 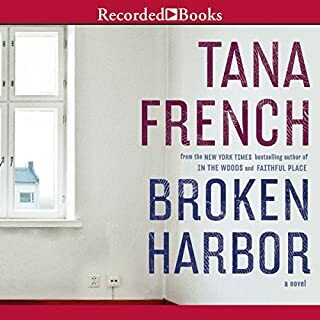 What was most disappointing about Tana French’s story? She didn't write about a place I wanted to 'be at' or people I wanted 'to know'. The characters were too fallible which is NOT why I read fiction - there is real life for that! Too much dialogue. Secrets left up the imagination at the end. The murderer recounted the murder in PERFECT detail.... unbelievable and disappointing.